Former South Carolina Governor Nikki Haley’s appointment as U.S. Ambassador to the United Nations was a surprise. During the 2016 race for the GOP nomination, she publicly backed Florida Senator Marco Rubio and urged Republicans to shun Donald Trump. As for foreign policy experience customarily found in whoever holds the post at the UN, she had none. But President Trump must have known more about Haley than many others because she has performed rather well in a job she seemed highly unqualified to fill. Nikki Haley official photo. Image from Wikimedia Commons, public domain. After Mr. Trump announced his plan to move the U.S. embassy in Israel to Jerusalem, she vetoed a Security Council resolution demanding a reversal. Then she told America’s critics at the world body to cease presuming “to tell America where to put our embassy.” She also followed that with a plan “to be taking names” of the countries that America has helped but now support condemnation of the embassy decision. As for countries voting in the UN against the interests of the United States, Haley joined President Trump in denouncing 128 General Assembly members, almost all of them beneficiaries of U.S. aid, for believing it was their place to tell America how to conduct its foreign affairs. “We will no longer let the generosity of the America people be taken advantage of or remain unchecked,” she announced. Evidently, her past disinclination to support Mr. Trump has completely evaporated. Haley even helped to secure 15-0 Security Council approval of sanctions against North Korea, a vote that counted even Russia and China, North Korea’s patrons, as supporters. Then she won plaudits from some quarters for having a hand in cutting the UN’s budget by $285 million. But the world body’s plan to spend $5.4 billion (almost 20 times the reduction) will see the U.S. continue to be saddled with 22 percent of the world body’s funding. While these and other performances of our nation’s ambassador to the UN are welcome, they are far from what should be America’s policy toward the world body. Americans should know that our nation began with the magnificent statement in the Declaration of Independence telling the world that God bestows rights and no man-made government can justly cancel any of them. The UN, on the other hand, acknowledges the existence of rights, but after ignoring God’s very existence, claims power to negate every right and become mankind’s supreme boss. Last September, President Trump went to the UN where, in his widely lauded speech, he never mentioned this fundamental difference. Nor did he condemn the UN’s steady advancement toward total power over the inhabitants of the planet we inhabit. He praised the world body as guarantor of sovereignty for all nations when the erosion of such a precious element of nationhood is a far advanced reality. Saluting the UN Charter for its supposed advocacy of peace, he skipped over the several portions of the document calling for UN military action. Donald Trump’s speech at the UN was precisely what all promoters of a UN-led world government wanted to hear. If honesty were in vogue, supporters of the UN would admit seeking a New World Order complete with dictatorial power over mankind. America should withdraw completely from the trap laid by the numerous communists and fellow travelers who created the world body. And Nikki Haley and her boss – Donald Trump – should lead the charge in the needed withdraw. Want to help? Continue to support H.R. 193, the “American Sovereignty Restoration Act” to terminate U.S. funding and participation in the United Nations! A classic example of man’s inhumanity to fellow man has been noted by the mass media over recent months. It involves the persecution of the Rohingya minority in Myanmar (formerly Burma). The international group Doctors Without Borders estimates that, during August 2017 alone, 6,700 of the Rohingya people were killed, 730 of them children, during raids into their villages and homes by Myanmar army and police units. The number of casualties in this obvious example of ethnic cleansing will surely rise as more information is gathered. Rohingya displaced Muslims. Image from Wikimedia Commons by Seyyed Mahmoud Hosseini (CC BY 4.0). Myanmar’s population of 54 million is overwhelmingly Buddhist. The Rohingya minority of fewer than 2 million is mostly Muslim. Those 2 million and their ancestors have resided for more than five centuries in Myanmar’s western Rakhine state. Religious differences have existed for centuries. But the smaller Rohingya population has been denied voting rights and full citizenship. In addition, they have long suffered from travel restrictions while being deprived of education, even forced to sign documents limiting their families to a maximum of two children. Able-bodied males are regularly subjected to forced labor for military and government projects. And good farmland has been taken from the Rohingyas and given to Buddhists who have moved into the area with government help. Estimates place the number of Rohingyas who have fled their homes in recent months at 645,000. Practically all have gone to neighboring Bangladesh where they are gathered in hastily built and hardly livable tent camps. Myanmar authorities claim the raids their military and police have conducted are responses to recent attacks on government installations by Rohingyas. But the nation’s army units have been accused of a variety of human rights abuses including arson, gang rapes, and indiscriminate killings of adults and children. The de facto leader of Myanmar’s government is world famous Aung San Suu Kyi who has consistently claimed that controlling the military is not within her official power. She rose to political power in recent years while becoming a leader protesting a previous government regime. As a recent Nobel Prize recipient, she has found herself widely criticized for inaction during the current crisis, and has seen her “Freedom of Oxford” award taken away. U.S. Secretary of State Rex Tillerson has accused the Myanmar military of “ethnic cleansing,” a charge that raised many eyebrows all over the globe. Let’s hope that Tillerson won’t be sending U.S. troops into this mess. Rohingyas are not only adherents of a minority religion, they have their own language and culture. And they have never indicated a willingness to assimilate. Their very presence within the borders of Myanmar, even after five centuries of living side-by-side with a majority population practicing a different religion, language and culture, has long been a potentially explosive situation. In a high percentage of the countries of the world, people get along relatively well, and new arrivals tend to assimilate. Sadly, many itinerant Muslims refuse to adopt the mores of the country they have recently entered. The influx of huge numbers of illegal Latin American immigrants into our country poses problems like those currently occurring in Myanmar. If the millions of recent entrants to the U.S. refuse to adopt the English language and culture that are identifiably American, their presence could explode into the kind of violence currently experienced in Myanmar. Dealing with our own immigration problem, a situation dumped into the lap of the Trump administration, won’t be easy. But it must be addressed. If it isn’t handled capably and humanely, we may suffer some of the hideous problems currently experienced by the Rohingya people. What we don’t want is American forces sent to this faraway land to perform again as the world’s policemen. The principle that should guide our leaders is simple: Creating a military arm should have as its sole goal the protection of the lives and property of our own people – period. New York City subway riders will hardly forget what happened on the morning of December 11, 2017. A bomb carried by an immigrant from Bangladesh prematurely exploded in a busy underground corridor linking two portions of the city’s subway system. It was a stroke of luck that only a small portion of the man’s bomb detonated, wounding him, and hurting three unlucky subway patrons walking alongside. Inside a NYC subway car. Image from Wikimedia Commons by Devin Smith, CC BY 2.0. Akayed Ullah intended to join the ranks of suicide bombers who have created havoc across the globe. He strapped his makeshift bomb to himself under his clothing and evidently didn’t follow all the instructions about how to build such a weapon. Where he obtained the bomb-making information could have come from a computerized messaging system known as Telegram that routinely disseminates propaganda for would-be jihadists. A few years ago, two brothers used pressure cooker bombs triggered by cell phones to create deadly mayhem at the Boston Marathon. The two learned how to construct their death-dealing devices from a magazine article detailing how to use a pressure cooker, electronic detonators, etc. If it’s that easy to become a terrorist bomber, we should expect more, not less terrorism. Ullah entered the U.S. from Bangladesh in 2011 using an F-4 visa, the kind available only to those who have family members who are U.S. citizens. His status under existing immigration policy places him as a permanent U.S. resident. Questioned at his hospital bed soon after his terrorist attack failed to kill innocent subway patrons, Ullah admitted being inspired by ISIS. He sought to protest the U.S. attacks on ISIS targets in Syria and elsewhere with his grisly attack on innocent civilians. He regularly attended prayer sessions at a mosque near his residence in Brooklyn. The imam at that mosque credibly claimed to be opposed to any sort of jihadist activity. Many reminders of Christmas throughout New York seemed also to have irritated the Muslim Bangladeshi immigrant. His determination to harm New Yorkers reminded city officials that, since the horror of 2001 when thousands died at the World Trade Center, more than two dozen similar plots had been identified and stopped before death-dealing jihadists had carried out their plans. Only weeks previously, a jihadist used a truck as his weapon to kill eight on a bicycle path in lower Manhattan. The incident in the subway tunnel was not without its heroes. After Ullah’s bomb exploded, he was lying in pain on the floor with wires sticking out from his clothing. As he reached for his cell phone, three city policemen who had just rushed to the scene, saw what he was doing, and dove at him to successfully grab the phone. Heroism like that may be comforting, but it won’t stop similar attacks as potential jihadists respond to the defeated ISIS leaders who are urging such attacks on the West. President Trump has widely been criticized for banning immigration from several Middle East and African countries. Included are Iran, Syria, Libya, Somalia, and Yemen as well as recent additions Chad, North Korea, and Venezuela. (The Supreme Court approved this move as recently as December 4, 2017.) As sensible as such bans may be, they would never have stopped Akayed Ullah from traveling in and out of the U.S. There are surely many more who possess F-4 visas, and other permissive documents, and could become the next terrorist bombers. Both federal and local authorities know that real potential exists for previously docile immigrants to create their own homemade bombs, especially after being urged to do so by ISIS, Al Qaeda, and other militantly determined foes of Western civilization. More needs to be done to slow down and eventually terminate these terrorist attacks. Nibbling at the edges of a growing problem isn’t enough. Want to learn more? Watch our video Exposing Terrorism. When reviewing the way some elected officials are treated by their colleagues and the mass media, it’s really no surprise to discover that the standards of conduct claimed by Democrats are less stringent than those held by Republicans. The differences show that Republican leaders seem exceedingly harsh when one of their own gets accused of something, while Democrat leaders seem willing to give a Democrat offender only a gentle scolding. Consider: Minnesota Democratic Senator Al Franken abused Ms. Leeann Tweeden while they were on a USO tour in 2006. There’s even a photo showing his smirking countenance while in the act of groping his sleeping victim. Because of the photo, he couldn’t claim “not guilty” so he apologized and added that he was “embarrassed and ashamed.” Democrat leader Nancy Pelosi didn’t ask for his scalp; Pelosi simply wants a formal investigation into what was depicted in the photo and also into some other indiscretions aired by Ms. Tweeden and others. Then there is Michigan Democratic Congressman John Conyers. Information has surfaced accusing him of harassing and seeking sexual contact with a female congressional staffer in 2015. In addition, it seems likely that he paid her $27,000 out of federal funds to keep her quiet. And, now that the lid on his conduct had been blown away, two other women have made similar charges. Conyers resigned from Congress but only after thinking resigning his position as minority leader of the House Judiciary Committee would be enough. Besides this, there was no calling for the man’s scalp from Democratic Party leaders. And it looks like according to the Democrats, “retiring” seems to erase what he has done. Contrast these cases with the ongoing treatment received by Alabama senate candidate Roy Moore, a staunch conservative Repubican. The Washington Post and New Yorker magazine have published charges that he abused teenagers 40 years ago when he was in his 30s. Some of Moore’s supposed victims have claimed that he went so far as to ask for sexual favors. He vehemently denies such allegations and wonders how come they are being made decades later when he’s involved in a political campaign. No such accusations ever surfaced in several of his other political races during his long career of serving in numerous elected posts in his home state. The mere charges leveled against Moore have been accepted as reason enough for leading Republicans including Speaker Paul Ryan, Senate Majority leader Mitch McConnell, and several others to urge Moore to cancel his run for the Senate. No evidence confirming his supposed wrongdoing has been presented by anyone. Other Republican senators, Arizona Senator John McCain in particular, have been outspoken crusaders urging Moore to cancel his candidacy. More recently, allegations have risen claiming Moore’s supposed improprieties with teen girls 40 years ago while he was roaming around a mall in Gadsden, Alabama. The claims include a charge that his disreputable conduct led to him being banned from even entering the complex. The pile-on aimed at Moore has continued while no one has produced any evidence to back up claims of his supposed misbehavior. What has surfaced are comments from two former mall employees who completely deny the charges aimed at Moore. Johnny Adams was the manager of the mall during the time of the supposed banning and he denies any such ban was ever aimed at Moore. He would have issued any prohibition of that type. Johnnie Sanders worked at the mall’s cafeteria during the same period, was always aware of any such action taken against anyone. He claims that, if such a banning had been issued against Moore, he would have known about it because he knew of some other individual who had deservedly earned such a prohibition. 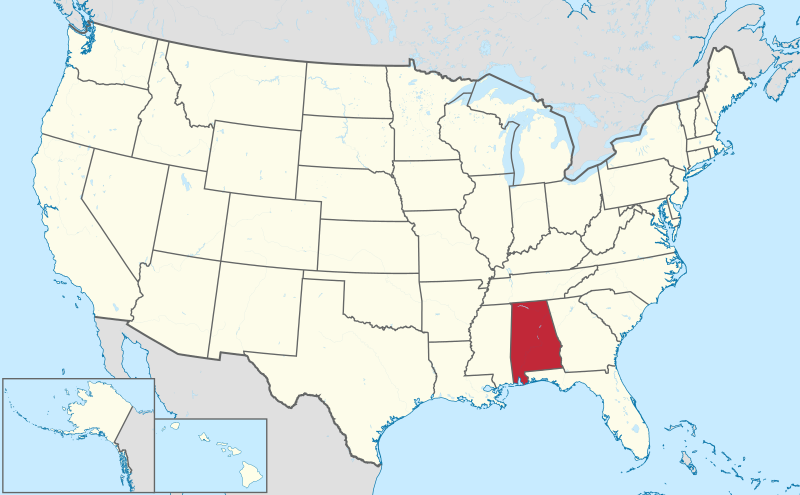 Alabama voters will decide who will be their senator for the open seat on December 12. If Moore wins the election, some top Senate Republicans have suggested that they will seek to bar him from serving. All of this brings to mind the charge that there is little difference between Democrats and Republicans once they get elected to national office. In this case, the Democrats want their candidate to win the Senate seat. And, while they pose as anxious GOPers who want an ally elected to the Senate, Republican acceptance of completely unverified charges against Moore may well result in a Democratic victory in the upcoming election. All of which makes Roy Moore appear to be feared as a legitimate swamp drainer by top Republicans. Top Democrats agree.